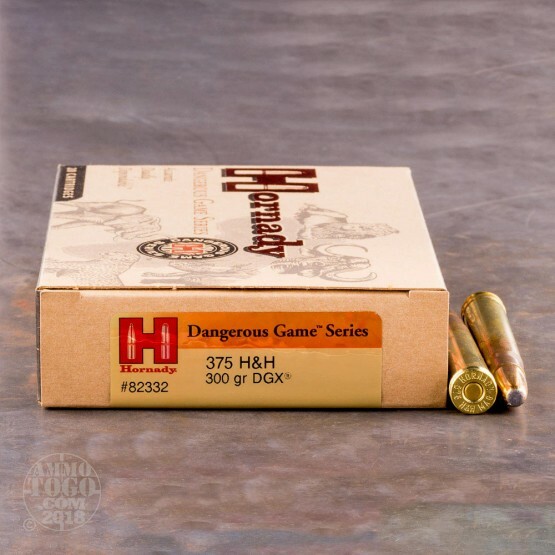 This 375 H&H Mag cartridge is from Hornady’s Dangerous Game Series of ammunition, and as such is as good for elk and boar hunting as it is going on safari. 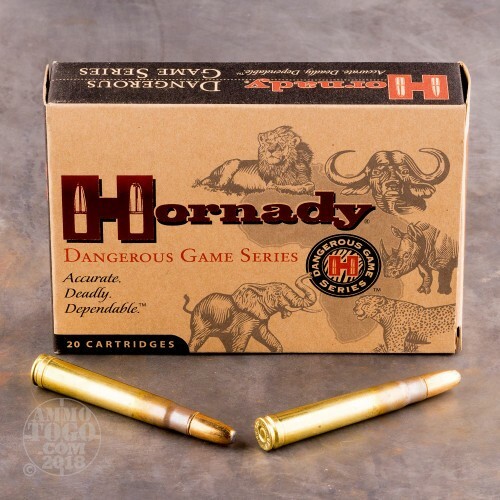 It’s also an excellent choice for home defense, provided that your home is under particular threat from Cape buffalo. This round owes its ability to drop exceptionally large game to its 300 grain DGX (Dangerous Game eXpanding) projectile. The bullet features a thick copper clad steel jacket which envelopes its lead core, and expands up to double its original diameter as it smashes through rugged hide, tissue, and bone. The DGX’s flat nose and serrated sections assure that it can deliver such expansion from up to 150 yards out. 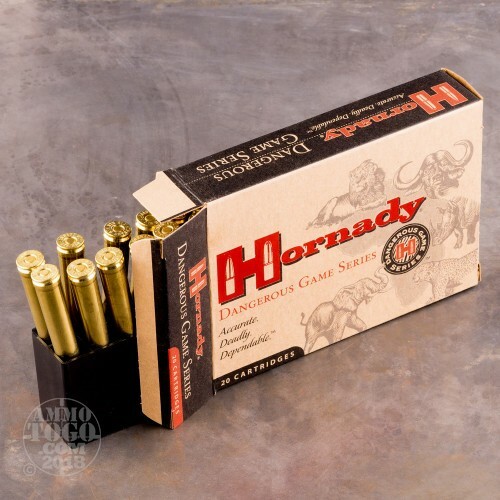 This is a Hornady round, and that means it sports the best components America has to offer. 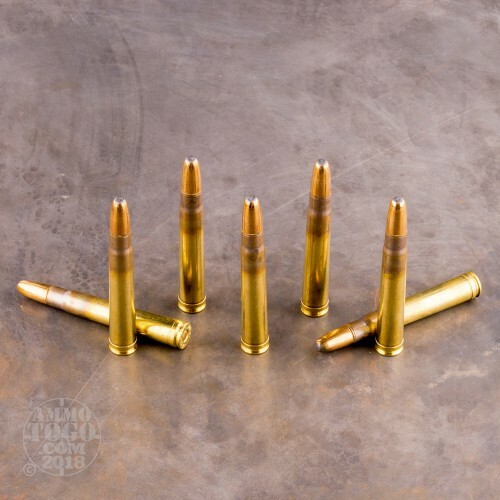 You’ll take pleasure out of this round’s fresh brass casing if you handload -- just don’t take it on your carry-on luggage if you’re flying back to Africa. What you should do is bring a dead hyena with you and claim it as “carrion” luggage. That always gives the people who work at Jomo Kenyatta International a hearty chuckle.